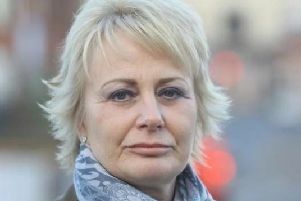 Barnsley Council has removed ‘myth buster’ information about a fiercely contested decision to build a traffic gyratory on the site of a urban park after a local election candidate complained the authority had breached ‘purdah’ rules on political campaigning. Planning permission has been granted to build a ring-road on Penny Pie Park, between the town centre and the M1 to alleviate traffic congestion which has been increasing for the last two decades. But the council faced a large campaign to save the site with Peter Fielding, a resident of nearby Pogmoor, among those spearheading the opposition. He then took the decision to stand as a Liberal Democrat in next month’s council elections, but complained after finding a ‘myth buster’ questions and answers document about the planned work on the local authority website. All councils are expected to abide by rules called ‘purdah’, which is effectively a cease-fire on issuing information which promotes the council in the weeks leading up to elections. The intention is to avoid potentially influencing voters. Mr Fielding said he would be taking no further action over the issue, but said: “This was not a factual post but was what can only be described as propaganda about a politically sensitive subject well into the prescribed purdah period. 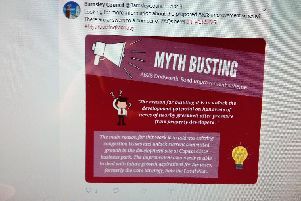 Mr Fielding has had an increased profile in the community since becoming heavily involved in a campaign aimed at stopping Barnsley Council’s plans to put a gyratory on the site of the park. He spoke at a planning meeting, where an application for permission was passed, in December and then approach the Secretary of State for Local Government, James Brokenshire, asking him to call in the application to be reviewed outside the council. That was declined. Barnsley Council has consistently insisted the Penny Pie Park plan is the only option to deal with growing traffic congestion in an area with virtually no free space. Officials looked at more than 30 options before recommending the ring road which will take up much of the park and leave an island of green space in the middle of traffic lanes. That suggestion was adopted by councillors and other associated legal processes are being completed before building work begins. Mr Fielding is standing to represent the Dodworth ward in the elections.